This is a 3 in 1 trimmer set, contains 3 cutter heads, they can be removable and washable, easy to clean, more hygienic. Stainless steel sharp cutter heads, safe and fast cutting without hurting the skin, and no hair get stuck. 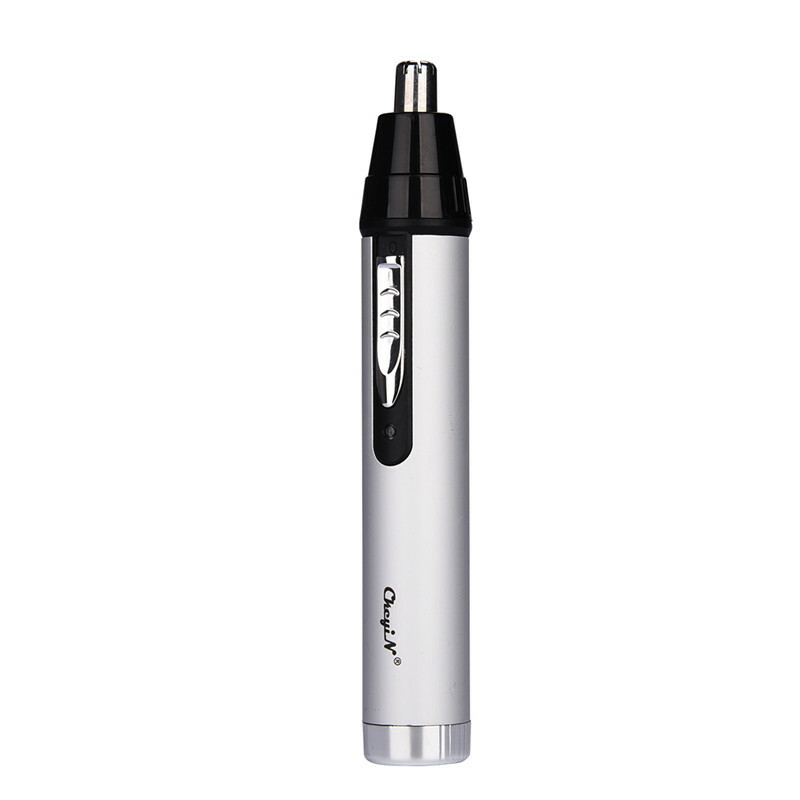 Nose/ear trimmer: it can be used for removing unwanted nose/ear hair. Sideburns trimmer: it can be used for trimming mustache and sideburns. Eyebrow trimmer: it can be used for trimming eyebrow hair and creating a beautiful eyebrow shape. USB charging design, it can be charged through the computer, car charger, portable power, and any powered USB port. Built-in rechargeable battery, after 8 hours full charge, it can be used continuously for 60 minutes. Note that this 3 in 1 Electric Nose Hair Trimmer Temple Eyebrow Shaping Device Shaving Razor is not waterproof and can not be washed with water. Don’t insert the nose trimmer head into the nostril and earhole more than 0.5 cm in depth, so as not to hurt the nostril or ear canal.